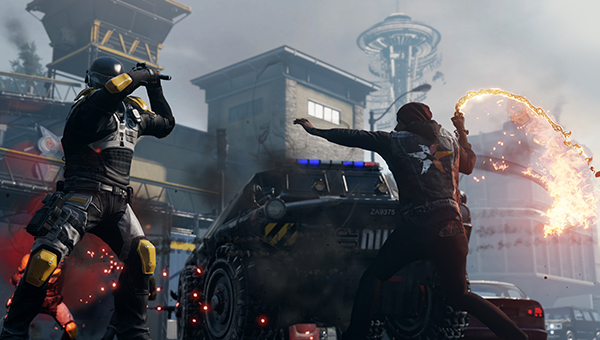 inFAMOUS: Second Son midnight PSN release! All the latest Watch Dogs news! Meet Daedelus, the upcoming next-gen indie! Augmented reality on PS4, Xbox One? Cars 3 The Video Game is about to get officially announced. Cars 3 The Video Game will be released around the same time as the movie which is probably some where in June 2017. Avalanche Software, the studios that got closed a few months ago, are going to be reopened for the making of this game, which will most likely be released for consoles. The Avalanche Software studios are now owned by Warner Bros.
inFAMOUS: Second Son will get a midnight PSN release. Within this article: full duration of the game, extra content due to delay, R15+ to R18+ in Australia, and more! "Daedelus is the next AAA next-gen game", being produced by former Call of Duty and Tomb Raider developers! PS4 and Xbox One to receive Virtual Reality soon? The PS4 mass production has started!